Get ready for a rare adventure! 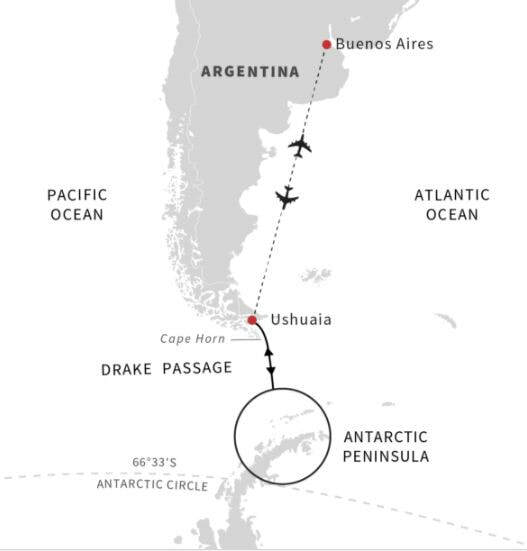 Board the MS Midnatsol in Ushuaia and cross the Drake Passage to an unforgettable exploration of Antarctica. Meet penguins up close and touch icebergs with your bare hands. On board there is so much to do: the Explorer room, Young Explorers Program, theme days, exciting lectures, and more, all designed to enhance your trip. Other dates are available! Longer itineraries are available too. Give us a call and let us find the one for you! Fares start at $7764 per person for this 13-day cruise.